Take a virtual tour of the Sanctuary. Our 53-acre nature sanctuary is home to the Blue Hole, the source spring of the San Antonio River. We are a nonprofit Earth care ministry of the Sisters of Charity of the Incarnate Word. 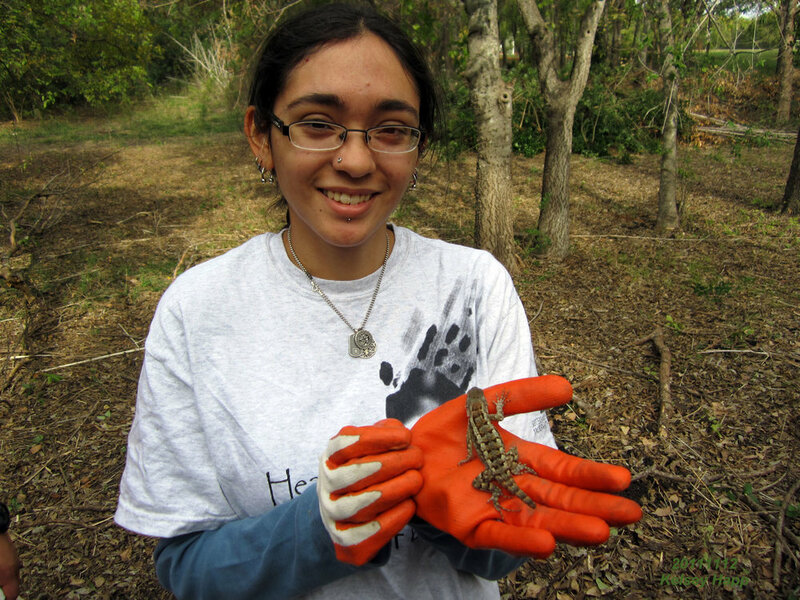 Headwaters at Incarnate Word is restoring our urban landscape through the removal of invasive plants and propagation of native species in an effort to increase biodiversity and benefit local wildlife. We offer educational programs for adults and children that focus on nature, local history, and conservation of our shared natural and cultural resources. Finally, we provide a sanctuary where people are encouraged to reflect and find meaning in their connection with the Earth, themselves, and each other. Find out about our organization's history and mission. Join our community of volunteers and patrons. Make your mark on the community and environment this spring by volunteering at Headwaters! Headwaters BioBlitz - Let's Compete! Snap Pictures, Get Pizza! Come out to meet the challenge in a statewide effort to see which city can document the most species. This is a great opportunity to apply your iNaturalist training from Headwaters’ workshops. To participate, snap pictures of flora and fauna using the iNaturalist app. Pizza will be provided for Headwaters’ contestants while supplies last! On the Headwaters Sanctuary Poetry Walk, Mobi will guide participants to slow down, enjoy silence, and open the doors of our senses in order to write short poems. No writing experience required! Anyone fascinated by the sights and sounds of birds is welcome. Mobi Warren will guide participants to use awareness of the breath in order to refresh body, mind, and spirit and to connect with the beauty of the natural world.